A lot of folks are embracing Marie Kondo’s movement of ‘less stuff’. There is a minimalist movement. People are getting rid of their excesses. I’ve always gleaned my closet annually with the thought of ‘Have I worn this in the last year?’ and the cabinets with “Have I used this in the past year? Two years”. Do I need it? Does it make me smile? Is it beautiful, useful or loved? And pulled the offenders to the garage sale pile which is held annually and nothing remains. All remainders get donated. How is this a boon to the prepper crowd? This means that you will find more and more items you can use for your prepping this year, at yard sales, and thrift shops. Just this past week, at my favorite thrift, I spotted tents, quality sleeping bags, sheets, comforters, tools, kitchenwares and so much more. High-end high-quality coats and jeans, materials for the house such as lumber, boxes of nails, gutter covers…. there’s so much. Now, I don’t want you to buy everything you see because you could end up with a houseful of ‘too much stuff’, but if you’re like a lot of prepared households you have designated spots for storing things you might need. You might have a shed with 55 gallon water barrels, shovels and rakes for gardening, canning jars for canning…. If you have the room, and a purpose for all the things that Kondo followers are tossing then get out there and look! It’s available, and cheap! 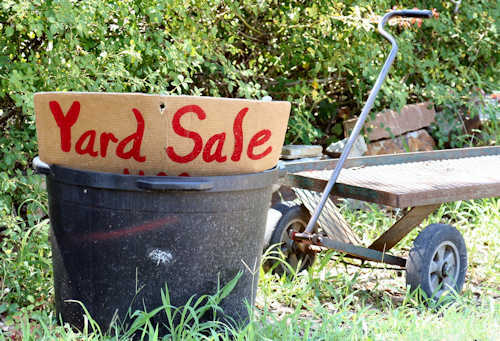 This will be a great yard sale season, so start saving your quarters and dollar bills. (Never show all your funds at a yard sale… it’s a good idea to keep change in one pocket and dollar bills in another. You can always stash bigger bills in your wallet/purse for large purchases.) Last year I found a huge double barrel composter at a local yard sale for…… twenty bucks! 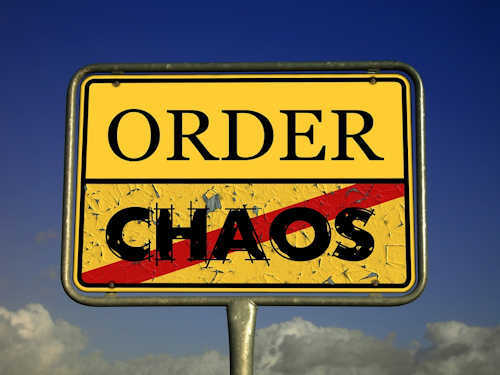 So, go ahead and get rid of what the kids have outgrown, the toys they no longer play with and your extras that you haven’t used in years nor have any expectation of using, but stock up on those things that could prove invaluable down the road. Just keep your eye’s open and be sure to think outside the box. If something seems too high priced ask if they’ll take less after all they ARE trying to get rid of their stuff! See you AT the yard sales!